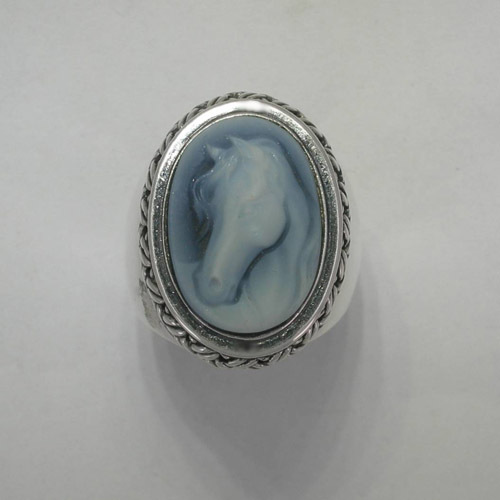 Desc: Sterling Silver Agate Cameo basket weave ring. 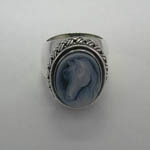 The banded Agate cameo is bezel set in the gypsy style ring. The cameo is carved to resemble a horse with his head turned and flowing mane. 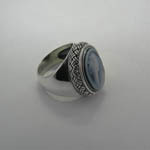 The mounting is Sterling Silver with ornate basket weave around the apex of the ring. The ring has a bright polish finish.